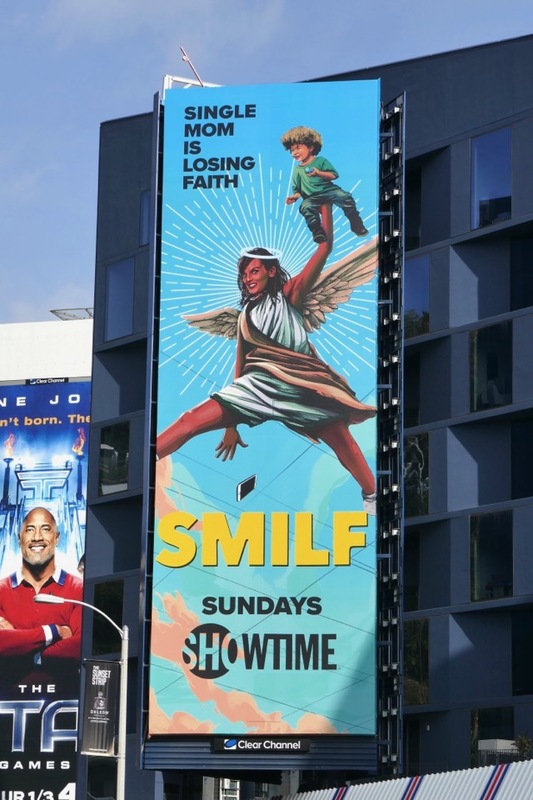 Showtime's hard-luck single mom comedy, SMILF, is back for a sophomore season this January and the key art with the show's creator and star, Frankie Shaw, as a saintly angel is certainly an interesting choice. 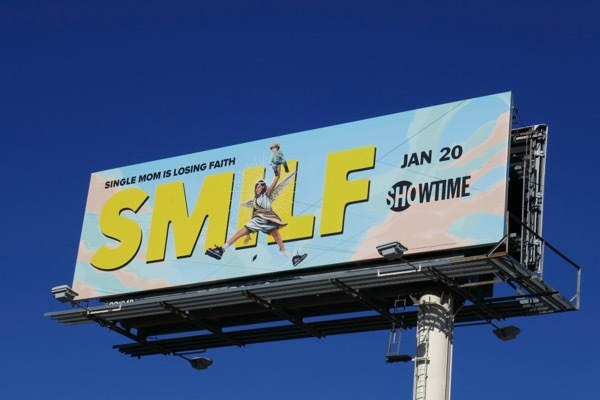 Apparently the second season's production has been marred with allegations of inappropriate behavior and the violation of industry rules, and it looks like Hollywood's Time's Up movement isn't just something that should be embraced by men in the workplace. 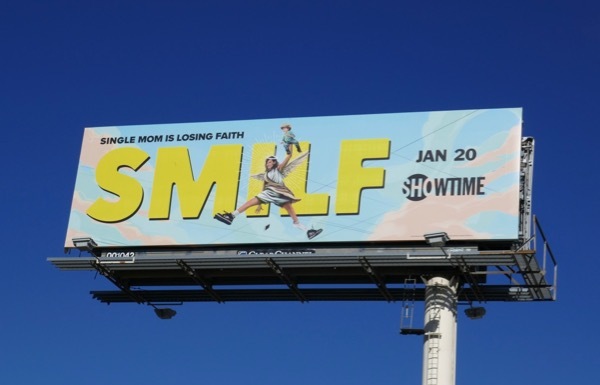 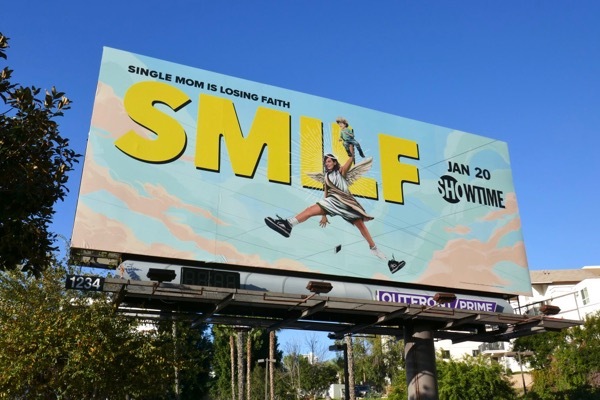 These SMILF season two billboards were snapped above La Brea Avenue and later along the Sunset Strip from January 2 to January 18, 2019. 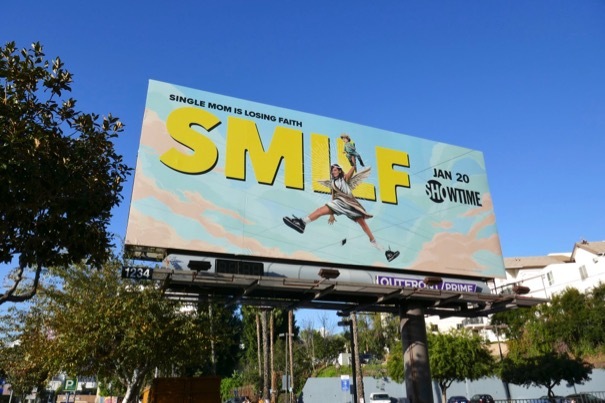 Meanwhile fans of the show can also check out these SMILF season one billboards from fall 2017. 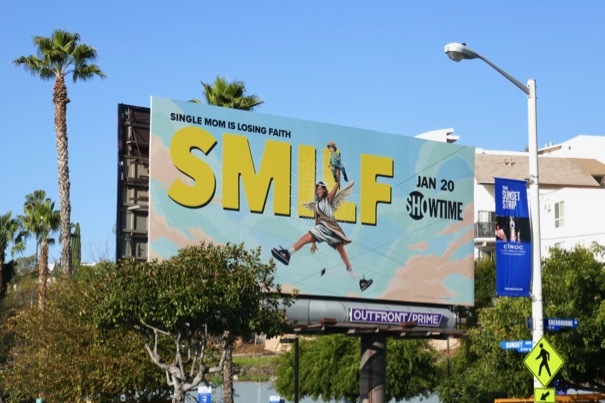 Let's see how keen viewers will be to return to Boston and watch 'Bridgette Bird' continue to navigate the worlds of single parenthood, dating and work and family relationships.